Hyderabad is the fastest growing city and now marking its presence as a strong competitor for Mumbai, Bangalore etc. As the commercialization is growing in this city, people are moving here in large numbers. For better lifestyle and career growth, they are choosing Hyderabad continuously and in the result, the demands are rising here for quality housing. Gachibowli is one of the most prominent real estate investment destinations in Hyderabad. This is because of its great location and seamless connectivity. Apart from being a developed region and a self-sustained commercial zone, it also provides connectivity to the major IT parks and business districts in Hyderabad. The luxurious projects are everywhere in this region and are the favourite part in Hyderabad for real estate developers. All the leading builders have multiple projects here and they again are involved in the new constructions because their previous projects have provided them with a good response. An investment in any of the luxurious project located in Gachbowli can be a beneficial deal as chances here are very strong for making multiple returns from it in the long run. In upcoming years, prices will rise here for these type of properties. 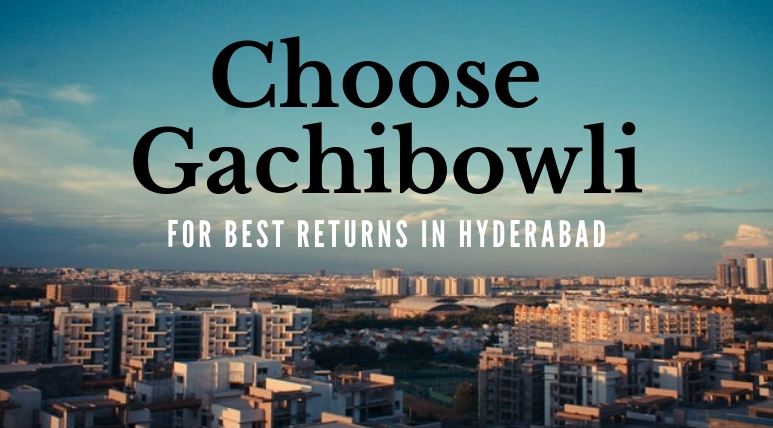 So, this is the best time to invest in Gachibowli. 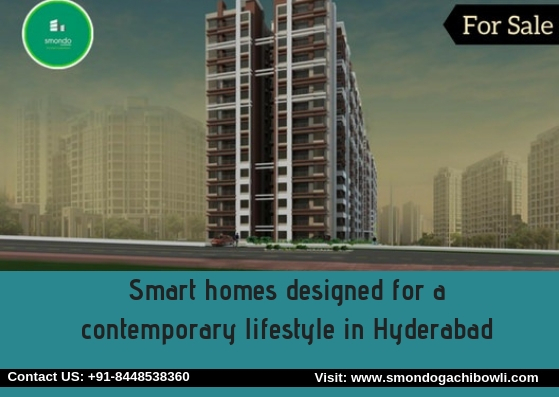 With the presentation of outstanding construction and marvellous designs for the beautiful modern apartments, Smondo Gachibowli is currently grabbing the attention of the luxury homebuyers in Hyderabad. 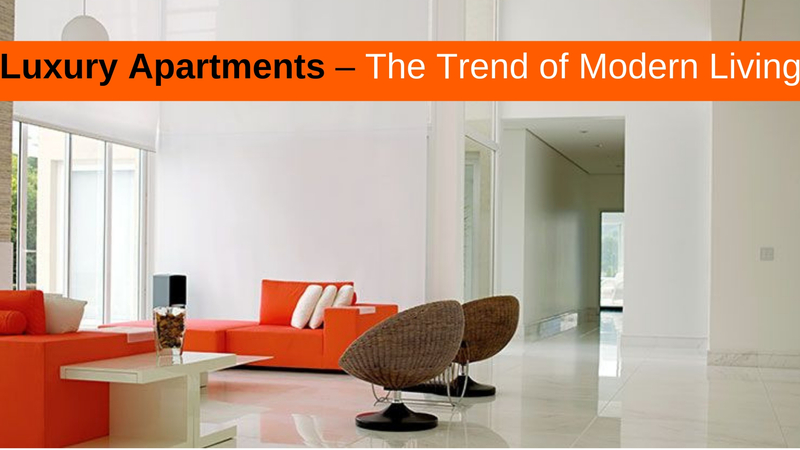 The elegantly designed 2, 2.5 and 3 BHK apartments here are the true living spaces of pure luxuries. Here, you will find extra spaces for maximum utilization as their areas vary from 990 sq. ft. to 1435 sq. ft. These modern homes provide complete ventilation to the users. The advantageous location of Smondo, Hyderabad provides easy access to commute the entire city rapidly. Several international and renowned schools are available here and there are many big hospitals, shopping malls around the complex. Equipped with useful amenities and facilities, the township is offering the features like gazebos, reflexology path, the pathway for a leisure walk, games, yoga and meditation room, swimming pool, clubhouse, gym, cafeteria, jogging track and a lot more. A very genuine price range has been set here for these marvellous apartments which vary from Rs. 72.44 lakhs to Rs. 97.81 lakhs.